In 1972 finished school 2 in Kyzylty Kokshetau Region. In 1973 entered Kokshetau Pedagogical Institute. From 1977 to 1979 worked at school 2 in Kyzylty Kokshetau Region. 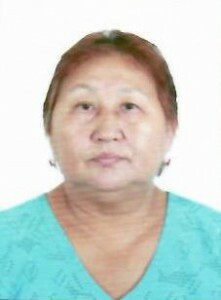 1979-1985 lived and worked in Zhezkazgan. 2005-2013 worked in Karagandy school 77. In 2013 retired. A pensioner.